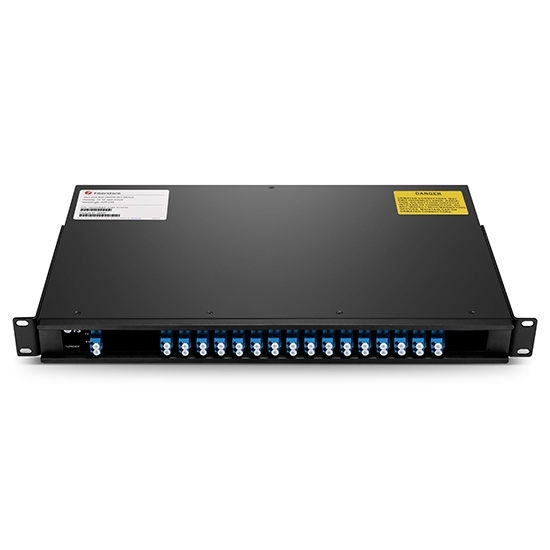 DWDM Mux Demux is usually used for long-haul transmission where wavelengths are packed tightly together over the C-band, up to 48 wavelengths in 100GHz grid(0.8nm) and 96 wavelengths in 50GHz grid(0.4nm). 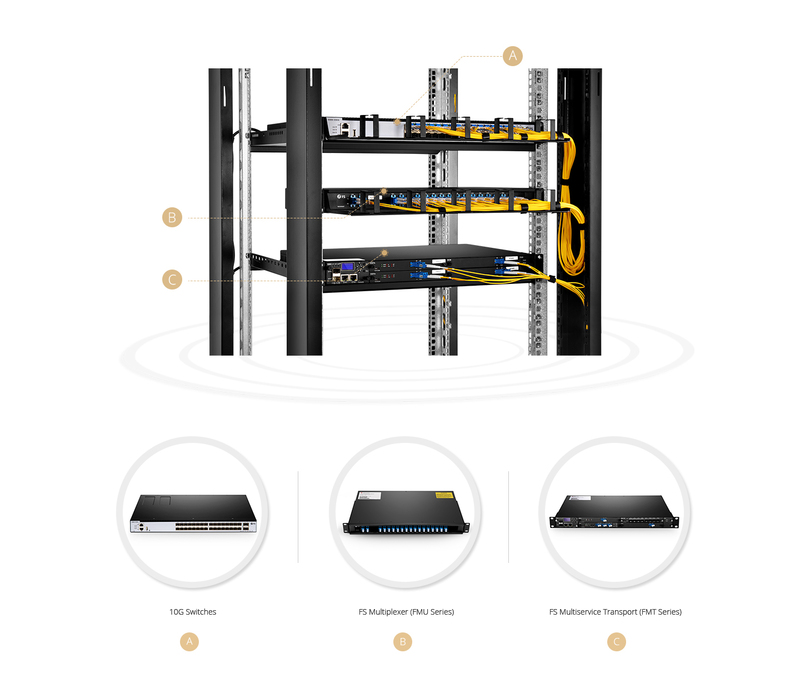 It's protocol transparent and suit applications including 10/1G Ethernet, SDH/SONET, 16/8/4/2/1G Fibre Channel, FTTx and CATV. FS focus on providing various and cost-effective solutions according to different requirement. Meanwhile, a full set of OTN products can be offered, including Optical Monitoring System. More details please contact sales@fs.com for help. DWDM channels overlap with passband of CWDM channels in low insertion loss of C- Band 1531 nm and 1551nm, which inhabit the natural region for low optical losses in glass fiber, allowing to extend maximum reach of DWDM technology. Mux/Demux can increase your network capacity combined with FS Multiservice Transport (such as EDFA, DCM, OEO and so on), which can improve the manageability and interconnectivity of WDM Network. 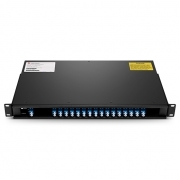 • DWDM is an optical multiplexing technology used to increase bandwidth over existing fiber networks. • When it is not in use, please always capped with a clean dust cap, and always keep adapter ports and fiber connectors clean. Quality product, great service, suitable price and fast shipping. Looking forward to future cooperation. The account manager patiently explained the function of mon port and 1310nm port, and recommended relative products for me, that was very helpful. The account manager and engineer team helped us a lot about how to configure the link. And all products worked well in my system, will definitely come back again! After testing, it worked as advertised. A very satisfying shopping. My mux worked well in the operation, and the function is just like the advertisement. I was very satisfied with the purchasing! The MUX is in high quality and price is also reasonable. Great! This product works smoothly in the system, thanks. Always satisfied with the product of FS. Looking forward to the next cooperation with FS. Bought the MUX and other devices together, no problem in my operation, and the shipping was also timely.